You'd think finding chunks of Roman London under bits of the City of London wouldn't surprise anyone, but the MOLA dig at the future site of Bloomberg Place could be the biggest find in London's history. One of the the largest archaeological dig ever to be conducted in London, at three acres in size, The Museum of London's Archaeology department has dubbed the area of Roman London found in the excavation as the 'Pompeii of the North', due to the fact that the area's organic materials have been perfectly preserved by the bed of the river Wallbrook - one of London's many lost rivers. Thousands upon thousands of artifacts have been found, spanning almost 400 years of the Roman's occupation of Britain - archaeologists even believe the wood preserved at the site could allow us to dendrochronologically date the area, perhaps even earlier than the current records of Londinium's existence, which stands at 47 AD. 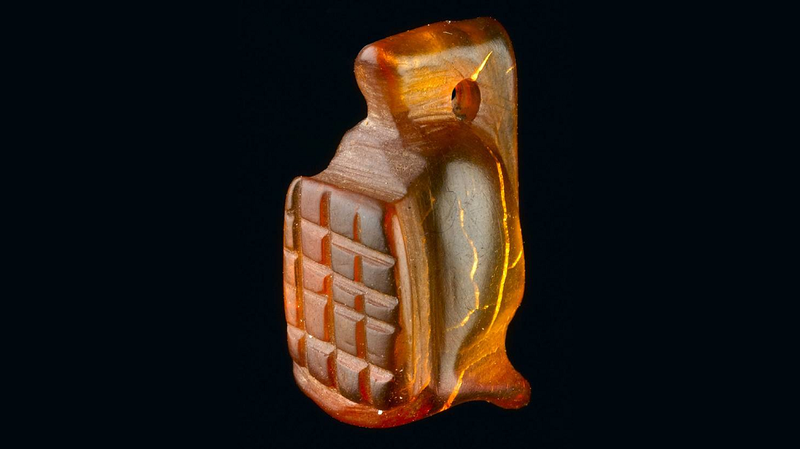 The artifacts include an amulet in the shape of a Gladiator's helmet made entirely out of Amber (seen up top), as well as love letters, lucky charms, clothing, coins and even a newly discovered section of the Temple of Mithras, a site first discovered in one of the 20th century's most famous excavations, by W. F. Grimes in 1954. ... Yup, that's a fist and wang, alright. The imagery of the phallus, as well as the fist making a Dulya, or Fig Sign, was believed by the Romans to ward off the curse of the Evil Eye - the Bloomberg dig site is, according to MOLA's press release, believed to have 'The largest assemblage of fist and phallus good luck charms from one site'.